In November 2005, armed only with a battered copy of Loren Coleman's Tom Slick and the Search For the Yeti which he found in a Kathmandu market, Paul Jackson went trekking in the Himalayas... and had his very own encounter with a Yeti. Or at any rate part of a Yeti. Allegedly. 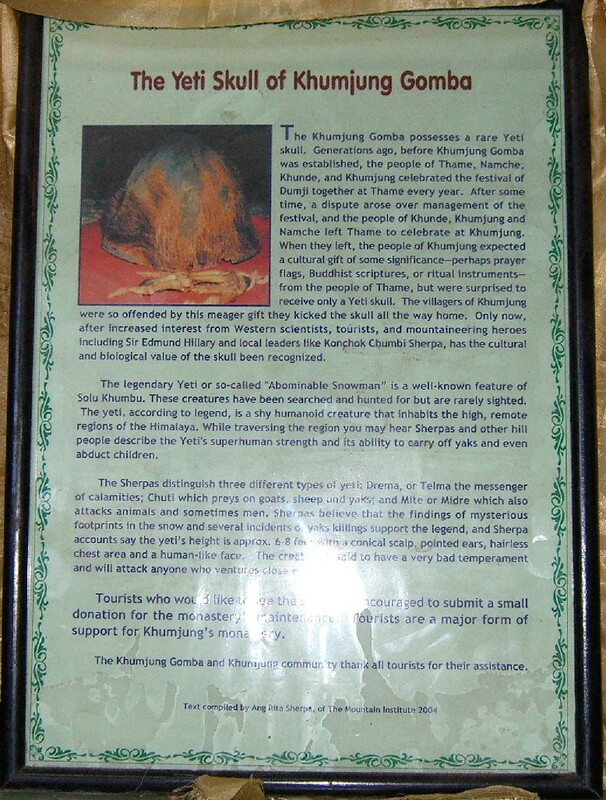 This is Paul's photograph of the infamous Yeti scalp in the Buddhist monastery at Pangboche, Nepal. 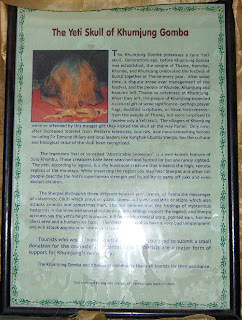 The scalp is generally assumed to be a fake, although Paul's Nepalese guide talked as though he believed it was real. 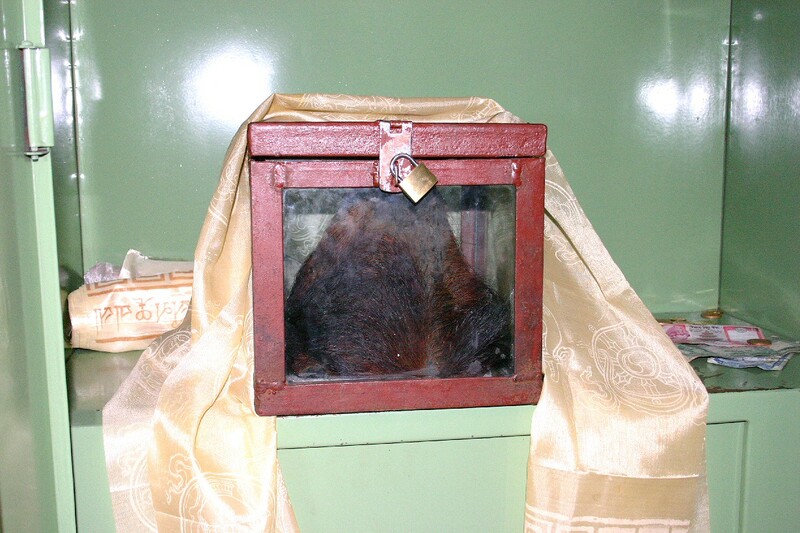 What is most remarkable, of course, is the fact that an object of this kind is to be found in a Buddhist monastery in the first place, and apparently treated as if it were a venerated religious relic. However, as the English-language inscription reproduced below seems to hint, maybe the whole thing is just a clever way of extracting money from gullible Western tourists! POSTSCRIPT 19/2/11... From Richard Freeman (CFZ) via Facebook: This is part of a costume used by monks to represent the yeti. It is no more indicative of its existence than a pantomime cow is indicative of the existence of real cows. I've seen yeti tracks and spoken to yeti witnesses. I'm in no doubt of the existence of a giant, dark furred, upright walking ape on mainland Asia. This [scalp] however is a red herring. It was a treat to find this. I truly am touched my book found its way to the place where it belongs. 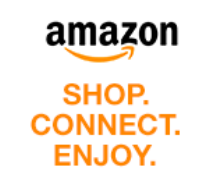 I am happy Paul Jackson found it helpful. Yes, one of the mistakes of the 1960 Hillary expedition, which I discuss in the book, is that they ignored the 1950s' knowledge. Both the 1954 Daily Mail and 1950s Slick-Johnson expeditions interviewed the locals, and it was clearly indicated the Yeti relics (i.e. "skullcaps") were used "in imitation" of the Snowmen. Thanks Loren! When I wrote this post a few years ago, Paul took me to task for describing his copy of your book as "battered", which I naturally assumed because it was a used copy bought in a market. But actually he says the book was in as-new condition! Yes I can confirm that the book was in great condition and still has pride of place in my collection of Fortean titles on my book shelf. It was a great memento of a great trip.